We all kicked around balls in our childhood, so we probably think we could have been Ronaldo's if we had just been spotted early. And these days, since everyone has a keyboard, a camera phone, and an internet connection, we all believe we can be great novelists or award-winning photographers. But it does take skill and experience to attain these feats. When you design your own logo, you’re likely to overlook technical aspects, like scalability and compaction. Your logo has to be equally effective when it’s blown up to billboard size or shrunk for a branded cufflink. The way it looks and the elements involved is a big part of that. If it’s too simple, it will be dull, and if it’s too complex, key details will be lost in the micro. If you want an amazing logo in Sydney, we have an excellent team of logo specialists here at Emedia Creative, and we understand the principles of drafting and design. It’s always a good idea to focus on your core business, and we’re glad to help by handling the design portions. You are familiar with your organisation, your products, and your services, but you may be unaware of the intricacies of font, colour, and style. Because we are design professionals, we understand that a green logo might make your brand look young and energetic, while a blue one suggests stability and conservatism. It’s about what resonates with the intended target market, not the business owner’s preferred colour. You might argue that you are restricted by your current brand palette, but creative designers can work within that and give you a logo that better represents your brand. We might lighten the blue to make it more approachable, or give the green a little shine to appeal to a more fashion-driven demographic. We have decades of experience to draw from, so let us help. Amateur designers probably create logos on a sketch pad or a computer. However, they may be unaware of how that logo will translate. 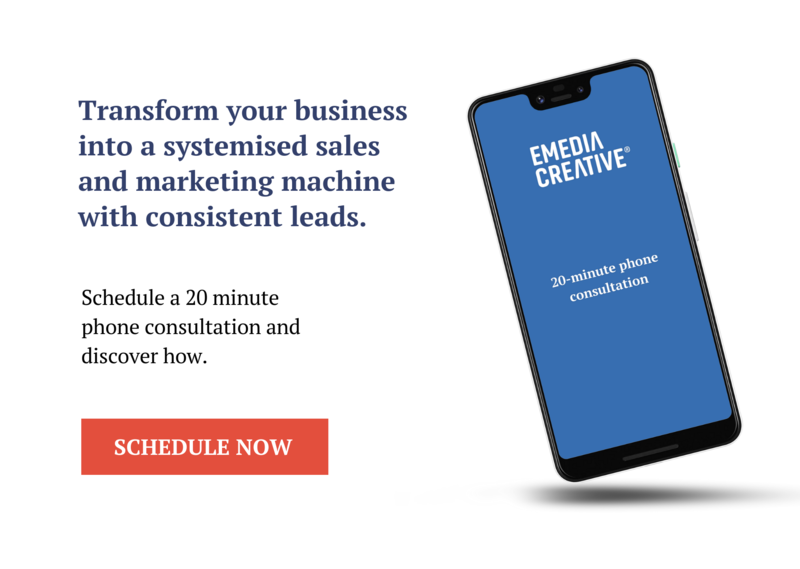 Emedia Creative has experience on all kinds of branding, so when we develop logos, we test them on t-shirts, umbrellas, business cards, stationery, or even car fleets. Your logo may not be as easily applicable across different media. Also, an amateur logo developer probably begins the process by looking at common logos, selecting the ones they like, and drafting something similar. The danger here is your logo won’t be distinct. Plus, if it looks too much like another design, you may be at risk of copyright infringement. Logo design professionals are much more suited to avoiding such errors. For professionally logo designer Sydney that truly represents your brand, call Emedia Creative today on 02 9557 3366.